Nobody personifies adventure more than Indiana Jones. This archaeologist has been finding artifacts and exploring since he was a young scout. It was since that time he started to use a bull whip to help himself out on these various expeditions. Indy has found various uses for it such as getting things that are far away and also he has used it to help himself swing over hard to reach places. Now you can look just like Dr. Jones when you add this great whip accessory to your costume this Halloween! 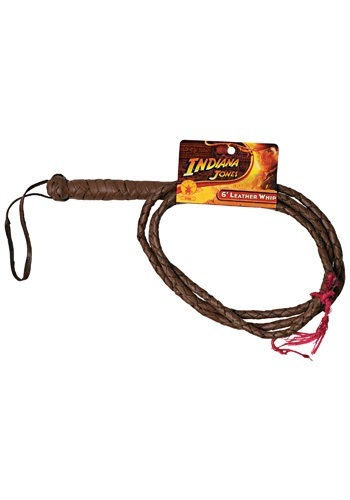 Add this leather Indiana Jones 6ft whip to your Indy Halloween costume for a look out of the movies. No adventure costume is complete without a whip.